Comic-Con 2012!! 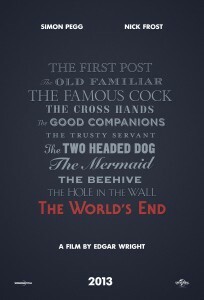 Universal Gives Edgar Wright’s Pub Crawl Epic ‘The World’s End’ The Go Ahead!!! Edgar Wright’s fourth film is official. Universal has green lit ‘The World’s End’, a film that starts 20 years after five childhood friends attempted an epic pub crawl. The friends reunite when one of them becomes hell bent on trying the drinking marathon again. They are convinced to stage an encore by mate Gary King, a 40-year old man trapped at the cigarette end of his teens, who drags his reluctant pals to their home town and once again attempts to reach the fabled pub, The World’s End. As they attempt to reconcile the past and present, they realize the real struggle is for the future, not just theirs but humankind’s. Reaching The World’s End is the least of their worries according to Deadline. 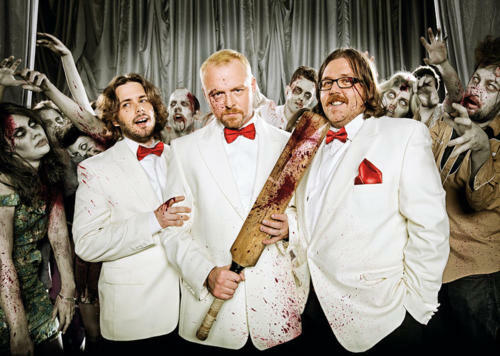 This is the third film from Wright that will star both Simon Pegg and Nick Frost. Shooting will being in October in the U.K. The poster you see was made for Comic-Con this year. Get excited. This trio of creative talent strike gold every time. 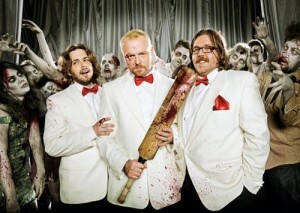 Just take a look at ‘Shaun of the Dead’ and ‘Hot Fuzz’. Brilliant! Jon Bernthal Is Cast In Edgar Wright’s ‘Baby Driver’ Starring Kevin Spacey!!! Film Review: ‘The World’s End’!!! Behold!! 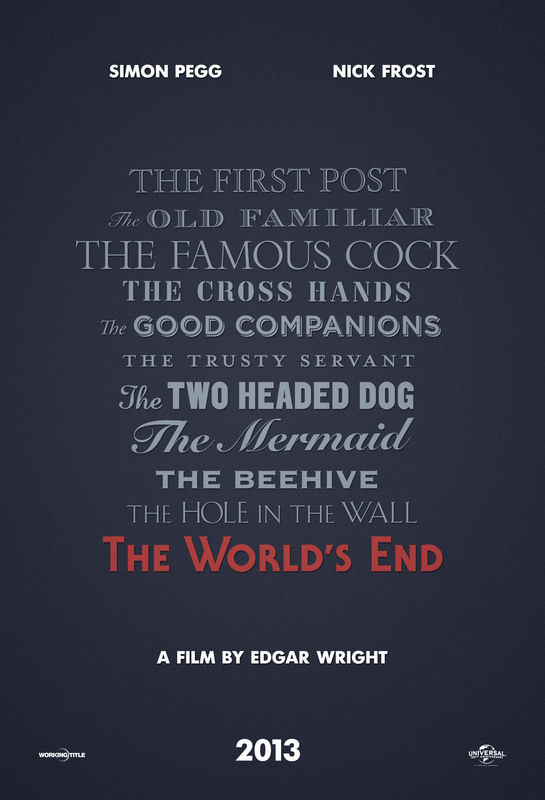 Edgar Wright’s Trailer For ‘The World’s End’ Starring Simon Pegg and Nick Frost is AWESOME!!! This entry was posted on Friday, July 13th, 2012 at 3:19 pm	and is filed under Events, Film, News. You can follow any responses to this entry through the RSS 2.0 feed. You can skip to the end and leave a response. Pinging is currently not allowed. I only have one thought: YES! A very big YES indeed. « Jessica Biel To Play Viper In ‘Wolverine’ Sequel!!! I, like God, do not play with dice and do not believe in coincidence.